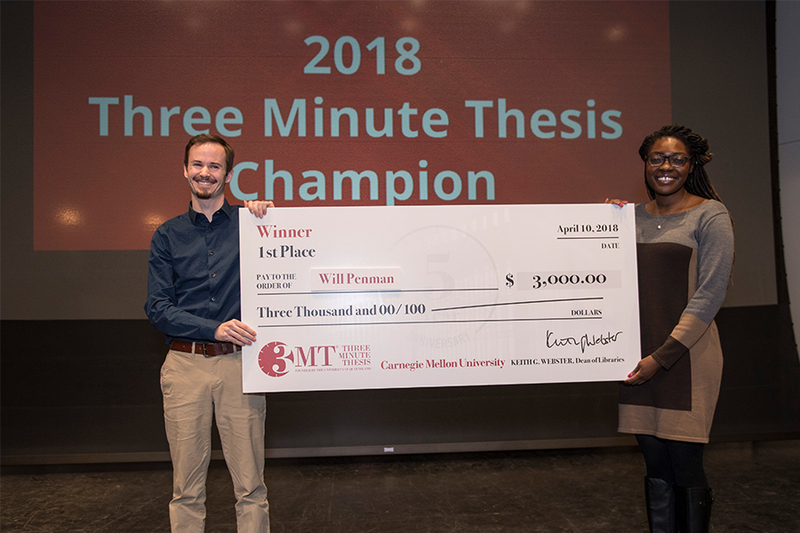 Doctoral students took the stage at Kresge Auditorium to describe their research and its significance in three minutes or less during the finals of Carnegie Mellon University's Three Minute Thesis competition. First place and the People's Choice Award — selected by the live audience — went to Will Penman from the Department of English. For Penman, whose presentation invited the audience to participate in a call and response exercise, this was his second attempt. "For me, this year it was about having a sense of fun attached," Penman said.